Gruebler, A., Berenz, V., Suzuki, K.
Berenz, V., Tanaka, F., Suzuki, K.
Ernesti, J., Righetti, L., Do, M., Asfour, T., Schaal, S.
Kalakrishnan, M., Righetti, L., Pastor, P., Schaal, S.
In this contribution we propose an inverse dynamics controller for a humanoid robot that exploits torque redundancy to minimize any combination of linear and quadratic costs in the contact forces and the commands. In addition the controller satisfies linear equality and inequality constraints in the contact forces and the commands such as torque limits, unilateral contacts or friction cones limits. The originality of our approach resides in the formulation of the problem as a quadratic program where we only need to solve for the control commands and where the contact forces are optimized implicitly. Furthermore, we do not need a structured representation of the dynamics of the robot (i.e. an explicit computation of the inertia matrix). It is in contrast with existing methods based on quadratic programs. The controller is then robust to uncertainty in the estimation of the dynamics model and the optimization is fast enough to be implemented in high bandwidth torque control loops that are increasingly available on humanoid platforms. 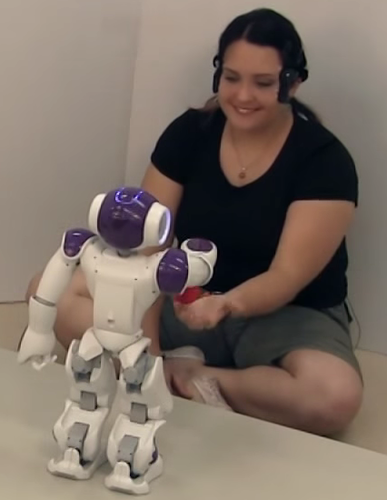 We demonstrate properties of our controller with simulations of a human size humanoid robot. Pastor, P., Kalakrishnan, M., Righetti, L., Schaal, S.
Movement primitives as basis of movement planning and control have become a popular topic in recent years. The key idea of movement primitives is that a rather small set of stereotypical movements should suffice to create a large set of complex manipulation skills. An interesting side effect of stereotypical movement is that it also creates stereotypical sensory events, e.g., in terms of kinesthetic variables, haptic variables, or, if processed appropriately, visual variables. Thus, a movement primitive executed towards a particular object in the environment will associate a large number of sensory variables that are typical for this manipulation skill. These association can be used to increase robustness towards perturbations, and they also allow failure detection and switching towards other behaviors. We call such movement primitives augmented with sensory associations Associative Skill Memories (ASM). 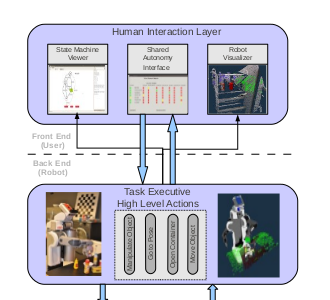 This paper addresses how ASMs can be acquired by imitation learning and how they can create robust manipulation skill by determining subsequent ASMs online to achieve a particular manipulation goal. Evaluation for grasping and manipulation with a Barrett WAM/Hand illustrate our approach. 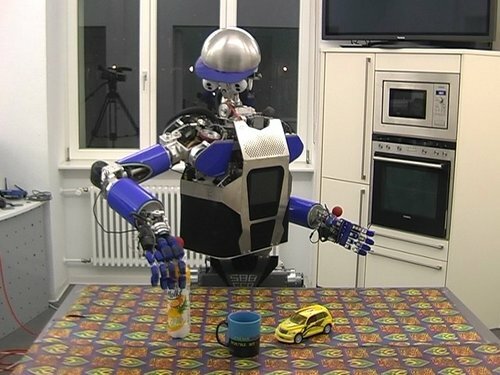 Herzog, A., Pastor, P., Kalakrishnan, M., Righetti, L., Asfour, T., Schaal, S.
The ability to grasp unknown objects is an important skill for personal robots, which has been addressed by many present and past research projects, but still remains an open problem. A crucial aspect of grasping is choosing an appropriate grasp configuration, i.e. the 6d pose of the hand relative to the object and its finger configuration. Finding feasible grasp configurations for novel objects, however, is challenging because of the huge variety in shape and size of these objects. 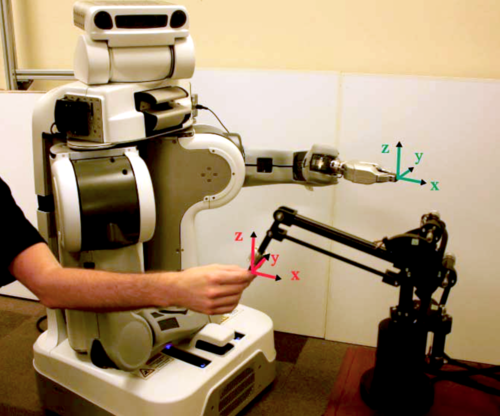 Moreover, possible configurations also depend on the specific kinematics of the robotic arm and hand in use. In this paper, we introduce a new grasp selection algorithm able to find object grasp poses based on previously demonstrated grasps. Assuming that objects with similar shapes can be grasped in a similar way, we associate to each demonstrated grasp a grasp template. The template is a local shape descriptor for a possible grasp pose and is constructed using 3d information from depth sensors. For each new object to grasp, the algorithm then finds the best grasp candidate in the library of templates. The grasp selection is also able to improve over time using the information of previous grasp attempts to adapt the ranking of the templates. We tested the algorithm on two different platforms, the Willow Garage PR2 and the Barrett WAM arm which have very different hands. Our results show that the algorithm is able to find good grasp configurations for a large set of objects from a relatively small set of demonstrations, and does indeed improve its performance over time. Stulp, Freek, Buchli, Jonas, Ellmer, Alice, Mistry, Michael, Theodorou, Evangelos A., Schaal, S.
Stulp, F., Theodorou, E., Schaal, S.
Wüthrich, M., Pastor, P., Righetti, L., Billard, A., Schaal, S.
In this paper, we derive a probabilistic registration algorithm for object modeling and tracking. 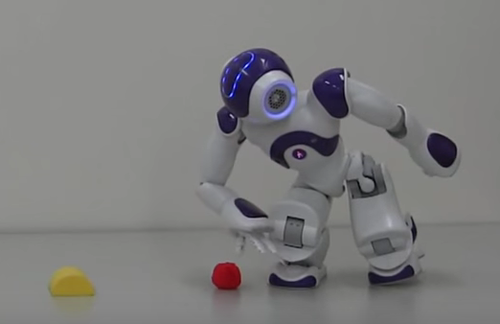 In many robotics applications, such as manipulation tasks, nonvisual information about the movement of the object is available, which we will combine with the visual information. Furthermore we do not only consider observations of the object, but we also take space into account which has been observed to not be part of the object. Furthermore we are computing a posterior distribution over the relative alignment and not a point estimate as typically done in for example Iterative Closest Point (ICP). To our knowledge no existing algorithm meets these three conditions and we thus derive a novel registration algorithm in a Bayesian framework. Experimental results suggest that the proposed methods perform favorably in comparison to PCL  implementations of feature mapping and ICP, especially if nonvisual information is available.